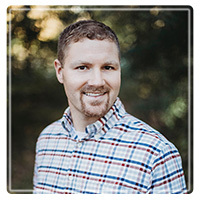 Albertville Therapist: Dan Schmoyer - Therapist 55301. Welcome to the first step in finding hope and direction! Seeking counsel from a stranger can be a difficult task. I want to commend you on taking what is often the hardest step- seeking help. My goal is to help you start working toward living a life marked by hope, peace, joy, and purpose. As a licensed counselor I am professionally trained to help you work through the experiences and struggles in life that you have been struggling to handle on your own. Most of my training is in marriage and family systems and I am passionate about helping families grow and enjoy each life together. I am also a licensed school counselor so I have a unique background, allowing me to connect quickly with teens who would otherwise struggle in counseling. As a husband and father of 4 I have plenty of practical life experience :) I am married to my best friend and we have both benefited from the ups and downs of our growing relationship. It has been a joy to grow with her and learn more about her each day. Neither one of us are perfect, but we are moving through life together which makes the journey so worthwhile! With 4 kids in the house I know first-hand how crazy life can get and can offer practical advice on how to best balance your marriage, parenting, work, friends, etc... I am one of 7 kids so I know the dynamics of a larger family too! I approach counseling from a Biblical/Christian perspective. I believe we were created with purpose and with a specific design and when we choose to live within that design we are able to fully enjoy life. When I choose to step outside of that design I typically end up struggling and wondering why life is not working the way I want it to work. Even though I am a Christian and love meeting with people who value faith in their counseling I have also met with many who choose not to incorporate anything "God" related into their counseling. I am 100% open to working with anyone who trusts me with their situation. The strategies, advice, and goals used in my counseling are all customized based on what you want and need. If you want to learn more about me go to my website (www.northwestfamilycounseling.com) and watch a few videos posted there to see if we will be a good fit!